Non-Stick Sauce Pot & Basting Brush Set | Patio and Hearth Co.
Non-stick sauce pot with handle features a 2 cup capacity. Plastic handle brush features a removable silicone brush head that is heat-safe up to 550° F (288° C). 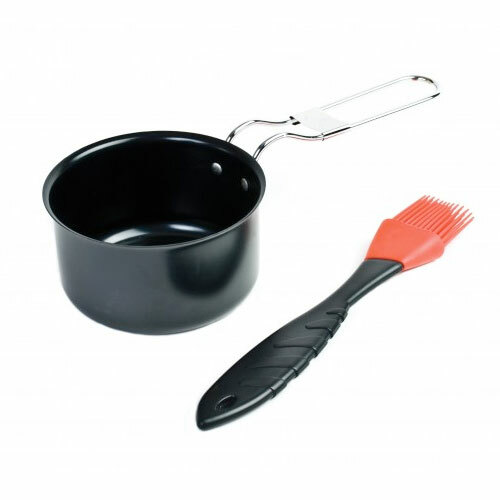 Inquire about Non-Stick Sauce Pot & Basting Brush Set using the form below.